My life at INSEAD has been pretty stressful, between class, group work, exams, dinners, parties, and traveling, I don't have much time to workout and eat healthy. With the stress of school and the less-than-healthy French food, I haven't felt my best. I'm a big proponent of drinking daily juices and smoothies to optimize nutritional intake so I was excited when one of my classmates' partners, Samantha, announced that she would be selling juices on campus. I don't have time to constantly grocery shop for fresh ingredients and make my own drinks in the morning. I also don't have my vitamix (very sad). So, I prepaid Sam for a whole month to make me juices every day and I haven't felt sick since! With the oncoming winter in France, my immune system will be challenged. Our cafeteria doesn't have great salad options so the green juice is a prefect way for me to get my daily dose of fruits and vegetables. 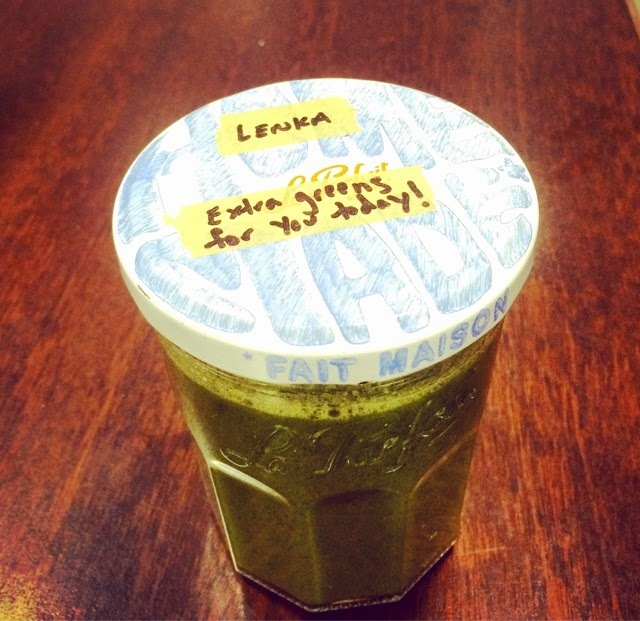 Sam also adds spirulina and protein powder and makes a variety of juices everyday. I usually get the green but sometimes mix it up. Sam is also offered full juice cleanses once a week. 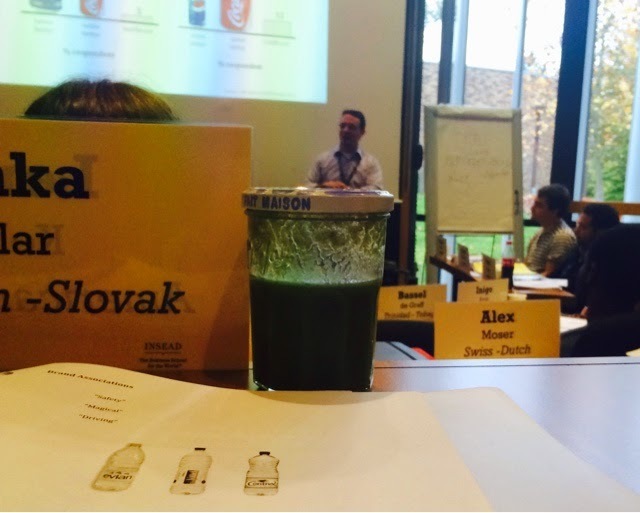 To get more information about ordering juices at INSEAD, contact Samantha here!